It is brand new week of new possibilities and challenges to conquer, so chin up and go for it (i was meant to publish this post on Monday but life happens).That's me trying to be inspirational and nudge myself back to the reality of a new week. 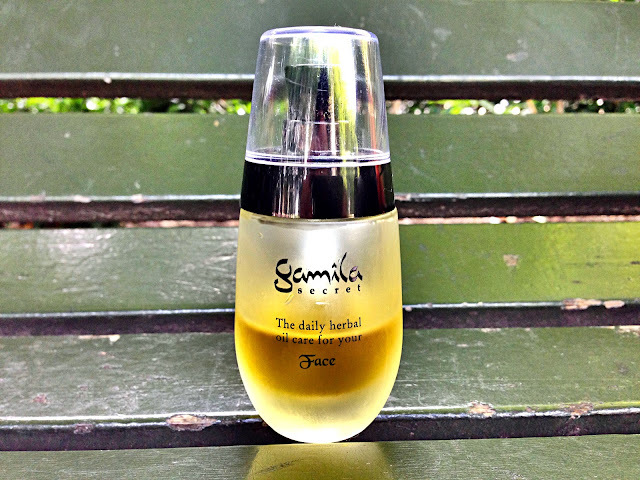 I have received a few requests from my lovely readers for a review of the Gamila Secret Face Oil, so here it is. 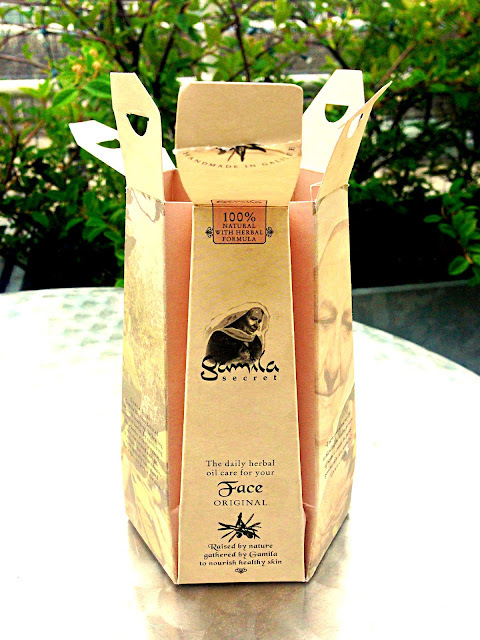 I am sure it is no secret that I love the Gamila Secret brand because their products are very high quality, 100% organic and natural and, most importantly, they are effective and will improve your skin provided you use it according to its instructions which is pretty straightforward. 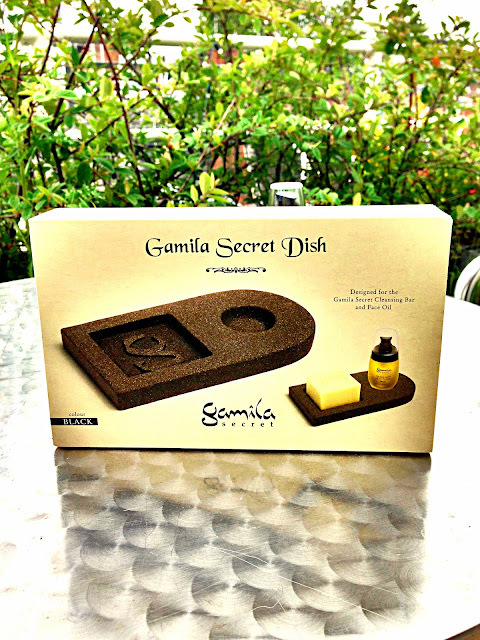 You can head off to my previous post on the Gamila Secret Cleansing Bar Review to get better acquainted with the brand and the Gamila Secret Cleansing Bar. 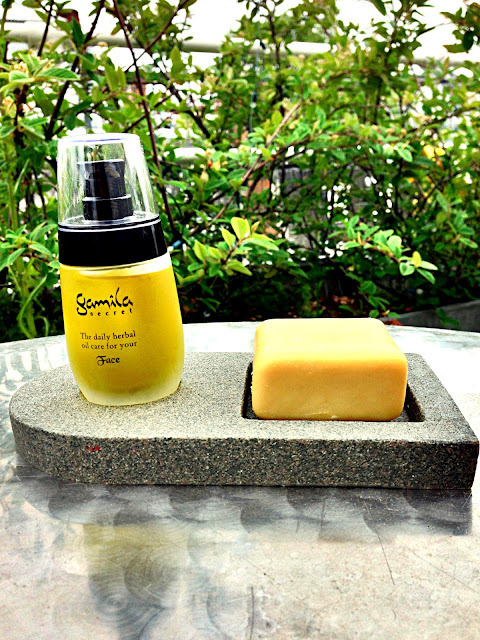 Moving on to the review, I had been using the Gamila Secret Cleansing Bar for a few weeks already and I was contemplating buying the Gamila Secret Face Oil but the hefty price tag of £70 kept me back from buying it although I was still lusting after it everyday. Luckily for me, I had a 10% discount from Gamila Secret so I needed no more convincing and I decided to close me eyes and splurge on this miracle oil. I believe it was worth every penny spent and I also got a free Gamila Secret Dish to place both my Gamila Secret Cleansing Bar and the Gamil Secret Face Oil...how cute does it look? let's get started with this review before I veer off another tangent as usual.. I have to say this is one of the prettiest packaging I have used. 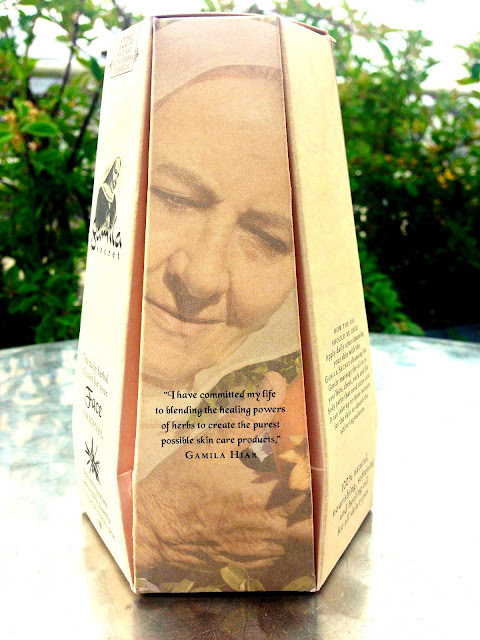 The outer packaging has inscriptions from Savta Gamila Hiar. I love that the materials are 100% recyclable to help save our planet. As you know, I definitely have kept this packaging because I think it is pretty. It does really look fancy and opens up in a rather spectacular way to reveal the misted glass bottle containing the Gamila Secret Face Oil. I love the misted glass bottle design because it adds to how exotic the oil is and it has a nice pump which means there is minimal wastage as opposed to it if you had to pour it out. With its cost, the last thing you would want is any waste. I particularly like the way the glass bottle is tightly fitted with its black pump in a way that prevents spillage with its plastic cap to hold it all together. 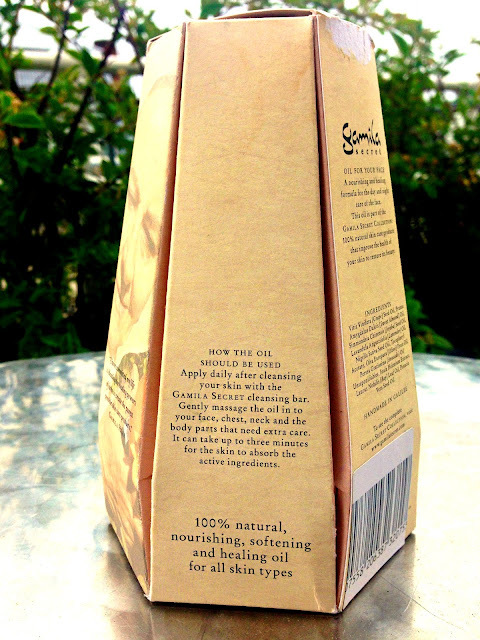 Although, the packaging is excellent, you may need to dispense it onto a smaller bottle when travelling as you may experience some slight grease. 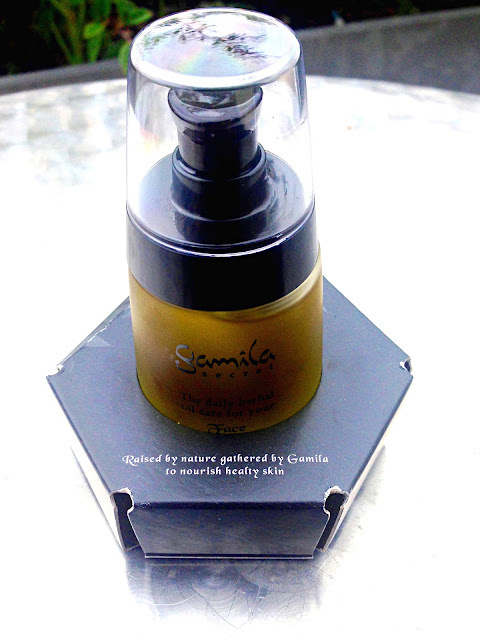 According to the Gamila Secret Website, the Gamila Secret Face Oil is specially formulated to decrease wrinkles, soften and regenerate the skin helping it appear younger, more elastic and healthy. It does this by penetrating the deeper skin layers where it helps restore and rebalance the skin cells. 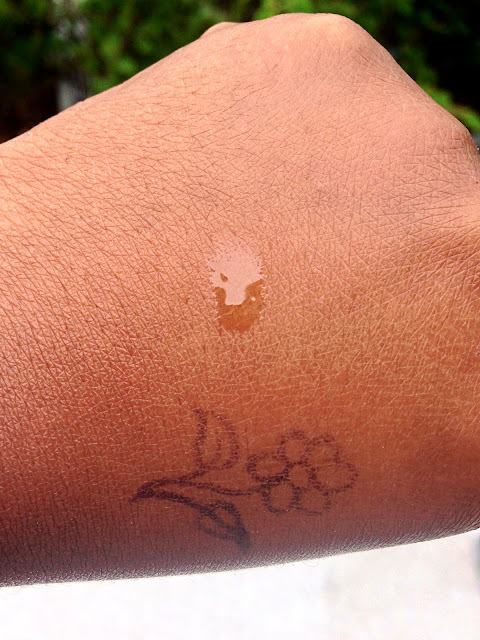 If you know anything about the skin, you would know the skin has a high absorbing power which means it can absorb lotions and moisturisers easily and oils more easily especially when they are in a really pure state. 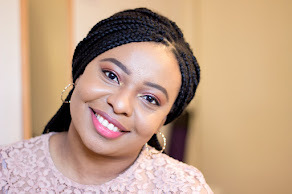 I am sure everyone may be a little tired of hearing me rave about this brand but I do really love the Gamila Secret Brand because their products are effective. I have used this oil since June and my skin has made some significant improvement. I bought this oil because I wanted to clear the dark blemishes and pigmentation i had from acne. In the light of that, I can say the blemishes and pigmentation have significantly reduced and no longer appear as dark as they used to be. There are still present but they are fading gradually which makes me really pleased. I have actually graduated from using concealer and foundation as my every day makeup to just using powder only. That really makes me very pleased. The most obvious change I have experienced is how soft my skin feels. It feels really healthy, soft and bright. It really is amazing although it may be hard to tell if I just concentrated on getting rid of my blemishes. It is not cheap AT ALL but then it is worth every penny as I stated earlier. It costs £70 which is no joke at all but it does last a good while. I bought mine in June and I have used it every single day and night and I still have a considerable amount left which I think is brilliant. 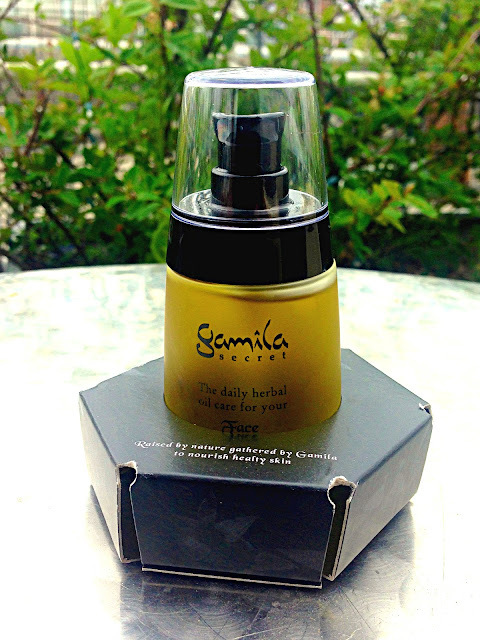 Although, it says I can use the Gamila Face Oil all over my body and hair, I restrict its use to my face only and occasionally my neck because I want to make sure it lasts as long as possible. 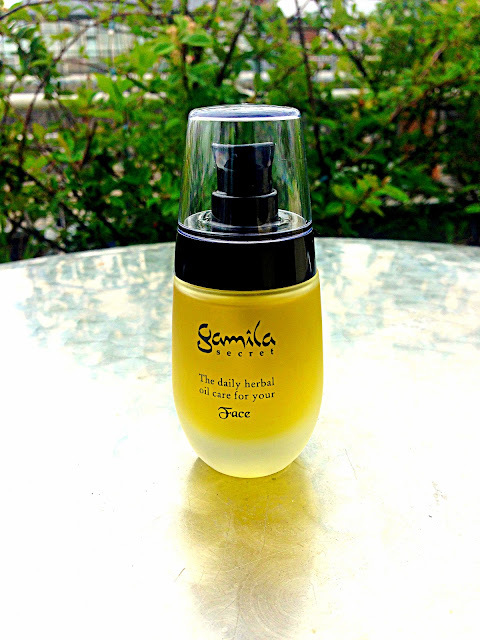 You can buy the Gamila Secret Face Oil from the House of Fraser online or In store especially in the Oxford Circus Branch because they all don't stock this brand. 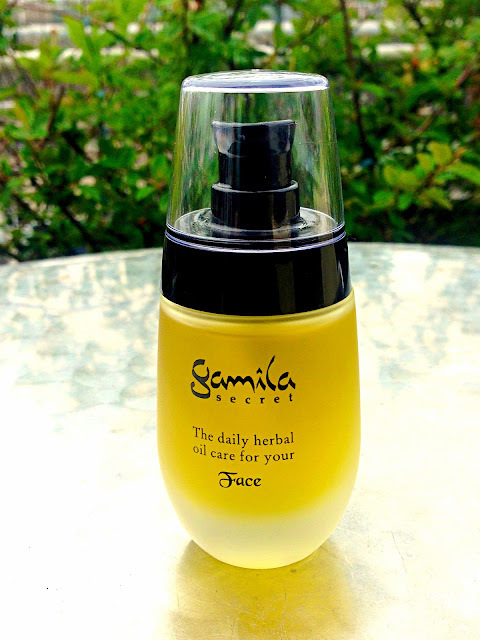 You can also purchase the Gamila Secret Face Oil from the Gamila Secret website if you are outside the UK and Gamila Secret UK website if you are in the UK. Also, you can keep up with them on the Gamila Secret Facebook page for any fabulous discounts. 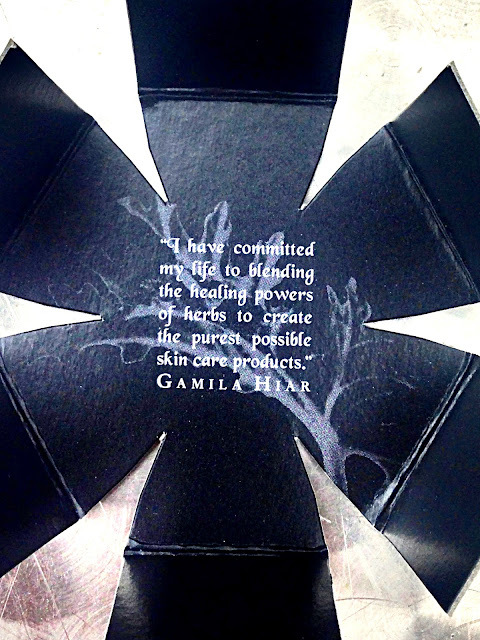 I think they are very generous with gifts especially in store as the first time I bough the Gamila Secret Cleansing Bar, I received a free Travel Pouch and a sample of the Gamila Secret Hand Cream. 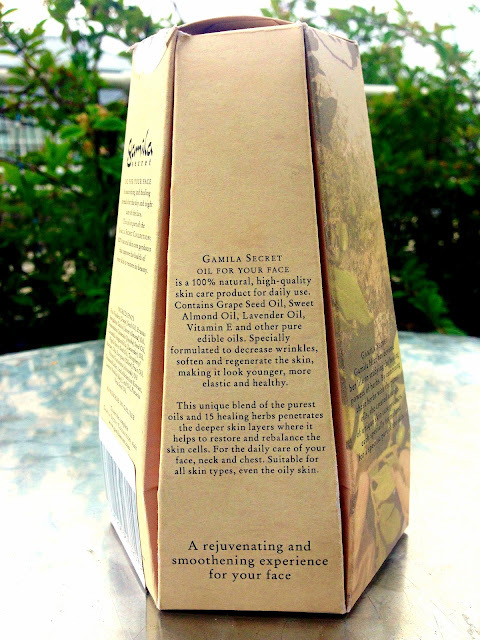 When I bough the Gamila Secret Face Oil, I also received a free gift which was the Gamila Secret Dish and Face Oil all in one dish which looks amazing and exotic in my bathroom. I would definitely purchase this again because I have seen a sustainable difference in my skin although my blemishes have not all disappeared because it does take some time but they are gradually fading away and becoming less obvious which means the world to me. As I stated earlier, i feel my skin texture and tone has improved significantly and while I still have the odd breakout here and there (when mother nature visits or when I eat crappy food), these breakout episodes have reduced significantly. I think it is worth trying out this product and I would rate it 8.5/10 only because it is quite expensive. Oh many thanks for your review. This product looks really interesting. 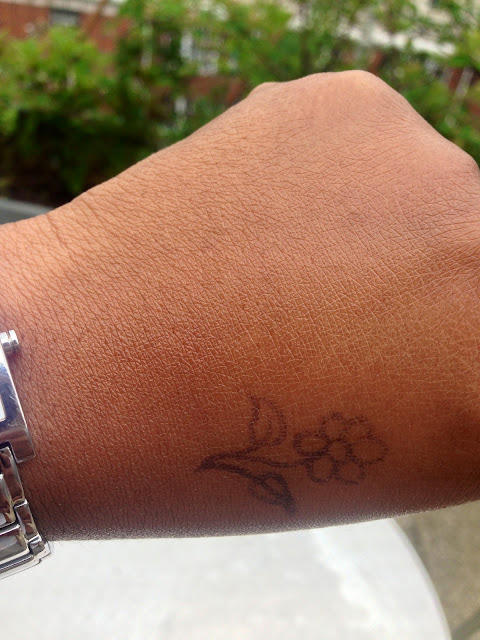 Now I´m following you in GFC and Bloglovin´I hope your folow me back in both. Thanks for sharing the review. I personally use Gamila products and founds them cool. Recently too I bought them from http://www.bazbuy.com/ and I highly recommend the products. Thanks for stopping by and I am glad you like them. I think they are amazing although they are bit pricey but it's all worth it! !